Okay, so perhaps I went a little overboard in my enthusiasm for this contest. This was inspired by a rather memorable venture into the third Stratum. Maybe you'll be bored by it; maybe you'll even like it. Hopefully my bland article title (I wanted to make sure it'd be noticed for the contest) and avatar-less and barren c-blog'd self won't get lost in all the new arrivals signing up for the contest. The hex frog collapsed in a heap, its lifeless, dull, gray body contrasting the alien blue and white foliage of the chilly pathway. "Leave it be," said a scholarly-looking man. "We can't carry much else, and we've been in this Stratum for many hours already. I recommend we head back to Etria to rest, Kain." The addressee was a lean man, lightly clad in armor. A grin split his somewhat wild-looking face, and he shook some of the frog's ichor from his weathered axe. "Come on Gabriel, we told the boss at Radha we'd map out these two floors, and we've already got one down. We could be done with this floor after the next turn, for all you know!" Kain responded. He was one of the most-experienced members of their team; and just as all guild members had, his tattered travel cloak was fastened by a sun-shaped pin, with an engraving of a solar eclipse--the symbol of Nisshoku, their guild. "'The boss' has a name," Gabriel sighed. "Honestly, you can remember the pub's landlady but you can't remember Lord Quinn's name? And I really mean it, our stamina and magical abilities are fatigued, and we're down to our last warp-wire. Three sheltors and a whole floor plotted isn't enough for you?" Gabriel's reprimand was cut short however, as a young woman's voice drew their attention. "Hey, look at this." The speaker was a woman on the younger side of her life, with curly hair dyed pink. She was donned in fine black leather and wielded a barbed whip. She was standing further down the pathway, in front of a turn that took them south. As the guild expedition caught up to her, they saw why she'd called their attention. The blue-colored flora that covered the ground was sparse and well-worn, in contrast to the vibrant passage from which they had just come. Claw imprints scoured the floor, and trees and other such plants were savaged by tears and slashes. "This would explain all the ants," said Alastair. A middle-aged man with red hair and a short beard, covered in steel and resembling a titan, Alastair too was a senior guild member, and an instrumental part of the group. If Kain was the battleaxe that struck enemies down, Alastair was the shield that kept the party alive. "What do you mean?" Kain inquired, but a mahogany-skinned woman answered, "It's a nest, Kain." The woman, nicknamed Christie, was the youngest member of the guild but an experienced minstrel, and long had her magical music served them well. "Still want to go on?" asked Gabriel, looking further into the path that was covered in evidence of activity. "Sure, we've already dealt with a bunch of their ants. Even their... Formus... uh...." he trailed off. "Formido Oppugnatura Exsequens?" Gabriel suggested. "Yeah, the F.O.E.s," Kain replied. "Even those haven't been a problem for us." "...yet." Gabriel finished, but he fell in line as Kain led the party down another turn. After several bends of unnerving silence they turned yet another corner, this one confirming their suspicion. They peered from around a bend in the passageway, taking in the sight. The path branched into a complex system of turns and thoroughfares, a confusing yet systematic area reminiscent of a hive. It was filled with ants going through this passage and that--not tiny garden ants, but ants the size of small dogs, with demonic visage. Their shells ranged from blood-red to charcoal gray; their legs ended in savage claws; and their heads were shaped and colored like grotesque skulls. "What do you think, Rose? You probably know the most about beasts out of all of us," murmured Kain. Rose, the leather-clad dark hexer, watched the ants for a moment or two before responding. "They don't look like soldier ants... more like workers--still dangerous, but they'll only fight if provoked. I think if we move discreetly enough, we can go further and chart the area unmolested... unless we do meet one of their soldiers." "All right, then. Everyone be passive, but stay alert," Kain said, as he carefully led them into the hive. Corridor through corridor, Gabriel charted their progress on their parchment map of the floor. However, after a while of rather peaceful exploration, they stumbled across a problem. "We're surrounded," Alastair growled, as he raised his tower shield and longsword in front of him. They were at a three-way intersection, and had managed to avoid any confrontation. However, they now found themselves looking at worker ants from all sides, angry at the intruders who were slowing down their hive affairs. The adventurers stood in a defensive position: Kain, Alastair and Rose at the head of each passageway, and Gabriel and Christie behind them. One of the death ants leaped at the expedition, only to be struck down by Kain's axe. He looked around at the other explorers and cried, "No other way--take 'em all down!" Christie started rhythmically clacking her castanets and singing in a tongue native to her homeland. The steady beat of the instruments and her eldritch lyrics quickened the blood flow of her companions. They felt an huge surge of adrenaline, and their movements were far quicker and stronger than would be normal. Rose cracked her whip at an approaching blood ant, striking it in its mask-like face. Stronger than the death ants and darker in coloration, the blood ant's sturdy shell protected it from injury, but the lash was enough to make it retreat several steps. Beyond the ant, Rose saw more of the insectoid beasts scurrying out from the tunnels. "We need to finish this quickly!" the dark hexer shouted over the din. "They're releasing pheromones--they're summoning the hive to this location!" In that instant of distraction, the scarred ant pounced upon Rose. She cried out in surprise and was pinned to the ground. She'd managed to get her armored forearm up and tried to keep the ant's hooked forelegs from tearing her apart, but she could not defend both at once. A moment later the ant was cloven in two by the head of a flaming axe. Kain dragged Rose's injured body back into their semi-circle as Christie kept the advancing ants at bay with arrows from her composite bow. Gabriel was next to Rose at once, and the healer used what little magic he had left to apply a restorative spell. Wounds healed; blood disappeared; and the dark hexer came back to consciousness. "That's it Kain--I can't cast anything else," the medic said, as he joined Kain on the front line, striking the monsters with his feather-adorned staff. "I think it's time we left," Kain growled, and he called out to his comrades, "Their numbers are thinner in the north passage--follow me!" The axeman wasted no more time. He cast aside his targe to clutch his axe with both hands, and with a roar he charged at the cluster of ants, clearing a path with mighty swings of his weapon. They rushed through the passages and forks and turns, outrunning the ants and wiping out any monster in their way. Finally they came upon a dead end. "So..." mused Rose. "Is this it?" The ants rounded the corner, this time led by two servent ants they hadn't seen before--vivid red, larger than the other ants, and with large, wicked mandibles. "Like hell it is," Alastair rumbled, and the paladin rushed at the nearest foe, Kain and Rose on his heels. Christie nocked an arrow before glancing at Gabriel. "See if you can find us a way outta here," she said before loosing the arrow into a distant ant. Gabriel focused on the walls, searching for any small alcove or a break in the thicket. Meanwhile, Alastair rammed his tower shield into the red servant. All of his weight and momentum was behind the blow, and he heard the ant's chitin crunch under the bash attack. Rose harnessed the last of her magic, and a saffron aura engulfed her barbed whip. She lashed at the second red ant, and the energy splashed across its body. At once its legs stiffened and gathered, bound by cuffs of yellow energy. Kain showed no mercy, and buried his blazing axe into the immobilized ant. "Got it! Here's our way out!" Gabriel cried exuberantly, kneeling in front of a narrow tunnel in the shrubbery. "You first," Alastair said to Kain, slaming his sword onto head of an approaching blood ant. "Make sure the other side's clear. Then Gabriel, then Rose, then Christie, and finally me," finished the paladin. He muttered an incantation--like the other party members, his magic was all but expended--and the effect was instantaneous. His awareness and reflexes had quickened, and the result was that the knight could single-handedly cover the fifteen-foot wide passageway, making him the perfect defender. One by one the explorers slipped through the hole in the rainforest's thick wall of flora, until just the troubadour and protector remained. "One last arrow and I'm out," asserted Christie, carefully aiming her last arrow and loosing it. "Okay, good luck big guy," she said, quickly disappearing through the hole. The ants' numbers were increasing now, and the armored knight turned at once. With a quick look over his shoulder to make sure he had enough distance to do so, dove to the shortcut in the bush wall. 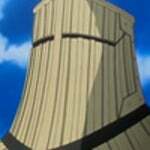 His agility was hampered by his heavy armor, however, and he couldn't crawl in as quickly as the other explorers. A death ant's foreclaws grasped his ankle, ceasing his progress. With a roar, Alastair thrust his sword and drove it straight into the offending ant's mask-like face, freeing his ankle. Alastair felt a pair of hands grab the niches of his armor from behind, and with a mighty lurch the knight was pulled through to the other side, plopping onto the ground--and onto Gabriel. Kain swung his axe into a mangled tree (at which he had obviously had been chopping since he'd crossed through), and the tree fell and smashed onto the small pathway, obstructing it from the angry ants on the other side. "Don't relax yet," Rose said wearily. "Those ants will probably chew through that tree soon enough. Let's get out of here right now--the stairs to the floor above are just around the corner there." Each heaving a heavy sigh, the fatigued explorers started putting as much distance from the furious ants as they could. "Hmm? What is it Gabriel?" Christie called out, for Gabriel had stopped and had a glum look on his face. "I forgot to map out the catacombs," he said, cupping his face in his hands. "Bah, don't worry about it," Kain said, his crazed grin returning to his face. "We can just do it again."